Over the past decade and a half, Audi has consistently turned out some of the best-looking luxury cars in the entire industry. But you can't keep doing the same thing forever, and I think that in some ways their design language is getting a bit old. This new flagship coupe aims to change that. 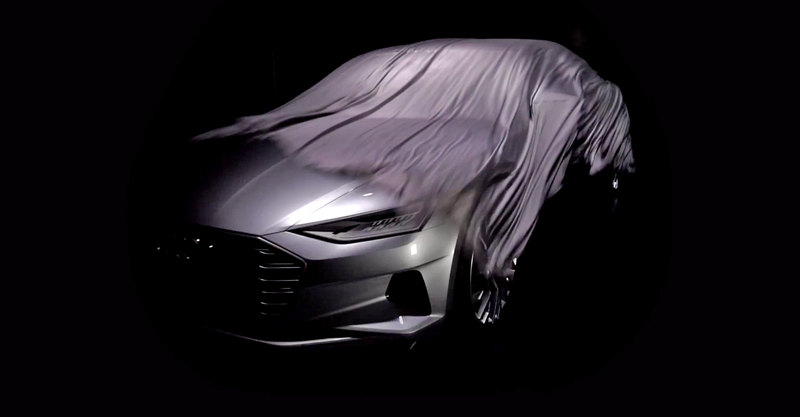 Road & Track thinks this may be the long-rumored Audi A9, but whatever it's going to be called, it will be unveiled at the LA Auto Show later this month. Here's a teaser video. It also serves as an introduction to Marc Lichte, son of a racing driver and grandson of an artist, who is Audi's new design chief. He certainly has the right heritage for the job, and his inspirations definitely come from the right place. We'll see what Marc has in store for us very soon.